This allows you to book and cancel appointments, order repeat prescriptions and see your test results. This service is available to those aged 16 and over. If you would like to use this service, please bring along photographic ID to reception. Please note you can only book a routine NHS doctor appointment in this way. Private medicals must be arranged through our administrator (dial 0208 365 3303 option 3). For clinical reasons, some appointments cannot be booked online, for example, nurse appointments, joint injections and coil fittings. To book an appointment online, click on the link at the top of this page. Please click here to see our easy-to-follow abridged how-to guide on our appointments system. We offer "book ahead" appointments to see doctors and nurses, up to three weeks in advance. Appointments are available from 07.30 to 18:00 Monday to Friday, and until 20:00 on Thursdays. Doctors also offer telephone appointments for review of ongoing problems or problems that do not require a physical examination. 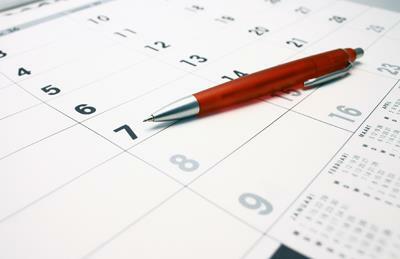 Approximately half of the daily appointments are reserved for booking “on the day”. These are bookable by telephone only: calls are taken from 8am and appointments are allocated on a “first come first served” basis. We do not allocate appointments to people who come to the door as this does not allow those who are frail, elderly or unwell equal access to the doctor. If you have an urgent problem, and all the appointments for the day have been allocated, or if you do not require a face to face consultation, then your details will be taken and the “Duty Doctor” will phone you back, usually within the hour. They will discuss your problem with you, and will always invite you in to be seen that day if your clinical condition merits this. With this system, we are always able to see those who need us most, and we are able to allocate resources more efficiently. The receptionist will ask you for a brief few words description of the problem and enter it onto the system so that the duty doctor can prioritise calls on a clinical basis. By late morning (normally 11.30) the Duty Doctor will be seeing the patients they have spoken to earlier, or visiting frail or housebound patients at home. If you phone during this time, you will be asked to call back at 14.30 to be dealt with by the Afternoon Duty Doctor. Since developing this Telephone Triage system we have found that a significant number (approximately 75%) of calls do not in fact require a doctor’s appointment. We can deal with many of your problems safely and efficiently by telephone, including arranging tests and prescriptions. Satisfaction with this system amongst people who have used it is extremely high. PLEASE do not arrive at the practice without an appointment and expect to be seen. We have eradicated the long queue in the morning and the overcrowded waiting room. You can now stay in the comfort of your own home and get on with other things until the duty doctor rings. All doctors have telephone appointments that can be booked as well. These are for follow up of existing problems or problems that do not require a physical examination. All of our doctors are very popular. NHS Primary Care is free at the point of service, and demand is simply unlimited. We have over 14,000 registered patients and our supply of appointments is finite. Please be understanding and try not to make appointments unless it really is essential that you see the doctor. We trust you understand that some doctors inevitably become more booked up than others, so please be patient with the receptionists if they have no appointments left with your preferred doctor. Before booking an appointment, please consider whether your problem could be dealt with in another way. Prescription requests do not require an appointment, but requests must be made in WRITING for clinical safety. You can register for online prescription requesting (password available at reception) to facilitate this. BP checks can be done on our “Surgery Pod” and a telephone appointment made for review. Suspected urinary tract infections can be dealt with by the Duty Doctor, who will ask you to drop in a sample for testing. Please note we do not accept urine specimens without the doctor’s agreement. For ongoing problems, please do try to stick to the same doctor by booking appointments in advance, rather than trying to secure an “urgent” appointment on the day. Continuity of care is important for you and for your doctor – it is much better for one person to have an overview of your problems than to see a different doctor each time. If you are finding it particularly difficult to see a particular doctor then please ask reception to send a message to request a telephone call with that doctor, who will endeavour to phone you back within 48 hours. We welcome your input if you have any feedback about our system. No system is perfect but we have spent many hours discussing and altering the system to its present structure to be as efficient as it is humanly possible to be.